Modern industrial societies are inconceivable without semiconductors. Regardless of whether smartphones, cars or medical devices, almost no technical product is without this “core element” of electronics manufacturing. productronica is the largest microelectronics event in Europe together with SEMICON Europe, taking place parallel for the first time, on the grounds of Messe München from November 14 to 17, 2017. “The worst is over,” was the message from Gartner in January. In the middle of the year, analysts predicted a significant plus of 16.8 percent in 2017 for the world-wide semiconductor market after a moderate increase of 1.5 per cent in the previous year. Sales are expected to increase to more than USD 400 billion. Skyrocketing prices for memory chips are mainly responsible for this. In addition, the value of semiconductor content in electronic devices reached the record figure of 28.1 percent this year, according to IC insights. The market for semiconductor production facilities is even more positive. SEMI Industry Association expects a worldwide growth of 19.8 percent with a volume of USD 49.4 billion for this year. China with more than sixty percent and Europe with over fifty percent recorded the biggest increases here. Among other things, the increased need for equipment is being created by high innovation pressure in the industry and growingly diversified customer needs. In addition, the entire semiconductor industry is going through deep-rooted changes. After approx. five decades, 'Moore's law', according to which twice as many transistors are packed on a microprocessor every two years, is gradually losing its validity. Physics no longer cooperates, the semiconductor fabrication plant (fabs) for the next chip generations are too expensive, and it no longer makes sense for an increasing number of chips to follow Moore's Law. For example, the focus in mobile devices is away from pure computing power to connectivity and power management. One sign of the change is the consolidation of the industry. One billion deal after another has been concluded in the past few years. As a result, semiconductor manufacturers reduce costs and increase profitability, but also expand their product portfolios. Companies that previously mainly targeted the now saturated PC and smartphone market increasingly need to be active in growth segments such as the Internet of Things (IoT), industrial applications, automotive and data storage. Additionally, they need to do this in increasingly shorter cycles. The reason for this is that the megatrends energy efficiency, mobility and connectivity are continually demanding new solutions. Especially the Internet of Things, in which billions of networked devices will soon communicate with each other, has once again increased the speed of changes. In addition to the price and new features, above all "time-to-market" determines the success of a product. Consequently, it is no wonder that the semiconductor industry is one of the most of innovation-driven industries. The consequence: considerable investments in research and development. Government support and wide-ranging collaborations reduce at least from some of the costs. For example, only recently eleven institutes of the Fraunhofer Group for Microelectronics (Hall B2 Booth 317) and two institutes of the Leibniz Association “Research Fab Microelectronics Germany” (FMD) joined forces. With this collaboration, customers from large industries, small and medium enterprises and universities are to be offered the entire value chain for micro- and nano-electronics from a single source. For systems and devices, the thirteen participating research institutions received a total of approx. 350 million euros from the German Federal Ministry of Education and Research (BMBF). Another important industry network for microelectronics is represented by Silicon Saxony (Hall B1 Booth 416) at SEMICON Europe. The joint booth bundles a considerable number of companies, research institutes and universities, which show the specific application areas of semiconductor technology such as automotive, the Internet of Things (IoT), 3D-packaging and hybrid electronics. Such high-tech products place high demands on manufacturing conditions. Almost all semiconductor processes take place in a clean room to prevent harmful contamination from dust particles. In the meantime, however, the components have been shrunk to structural sizes where even molecular contaminants pose a danger. The “clean zone” (Hall B2) at this year's productronica shows how to ensure that you work “cleanly”. A trade fair innovation enables visitors to access an imaginary clean room via virtual reality (VR). The close integration of SEMICON Europe (Hall B1) with productronica provides visitors to the trade fair with a complete range of information this year. 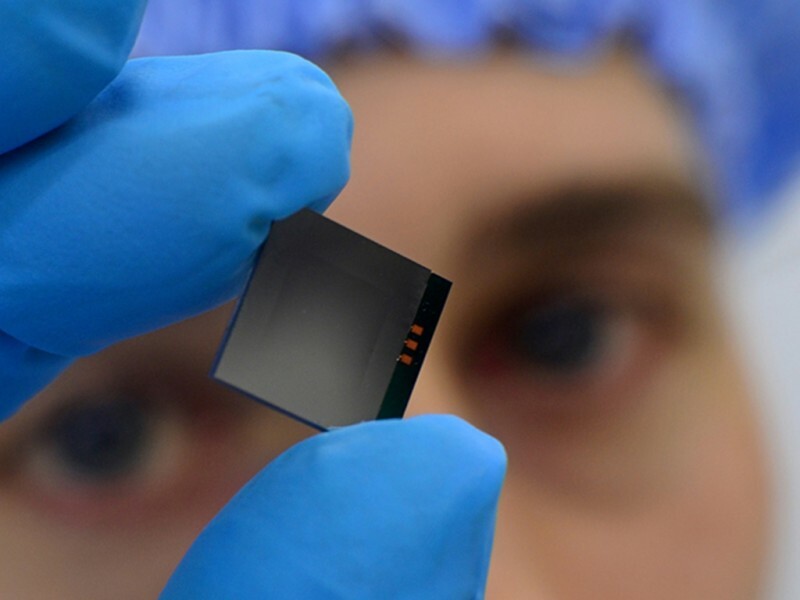 In addition to semiconductor manufacturing, the production of displays, LEDs and discrete components, the topics photovoltaic manufacturing, micro-nano production, materials processing and clean room technology will be shown. Furthermore, industry representatives will benefit from a comprehensive supporting program with top-rate conferences. It is the ideal place to discuss the latest trends and technologies and consequently expedite technological progress. It is possible to visit the two fairs productronica and SEMICON Europa with one ticket.